The Radar Eye is the big blue trapazoid shape with a black eye in the middle of it. 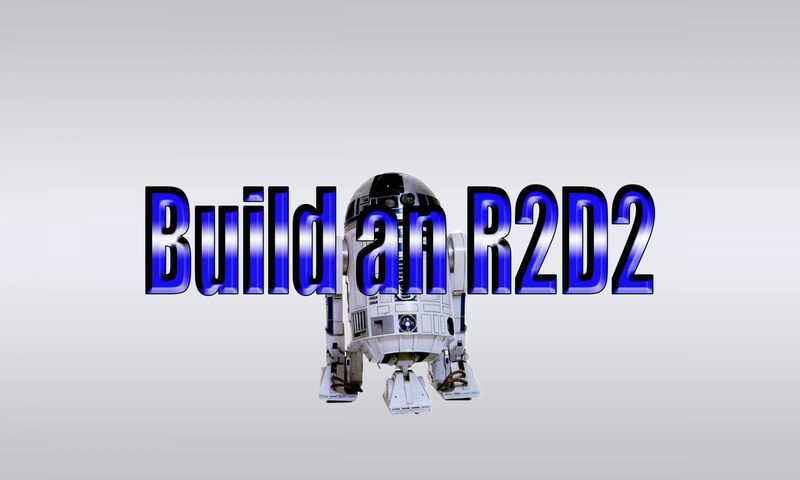 The R2D2 Dome – One year later. Installing the Radar Lens if fairly simple. Using a hot glue gun, simply go around the edge of the lens, where it meets with the Radar Eye, with a bead of hot glue. 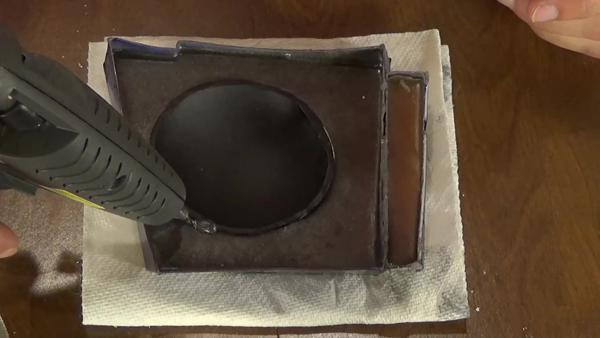 I filled the inside of my Radar Eye with resin to make it easier to attach the lens. Start with applying a bead of hot glue to the lens and the back of the radar eye. Apply hot glue to hold lens. 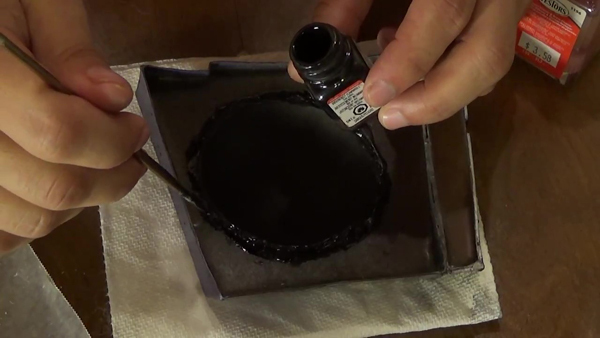 Once secure, and the glue has dried, paint it black to hide and parts that might be see through from the clear glue. Do the same thing for the inside of the lens from the front of the Radar Eye. Any mistake can always be repainted. Take your time and do it right. Even masking tape can help cover stuff prior to painting. The Radar Eye lens is very simple to make. 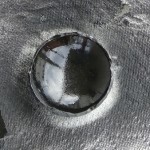 You will need a 4″ half sphere and black spray paint. It doesn’t get much simpler than this. Place the sphere and mark it where it meets with the inside you your Radar Eye. Cut that line and paint the inside of it black. 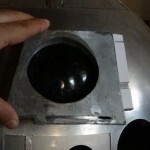 Test the fit and see how it fits inside the Radar Eye while on the dome. You can secure it by using hot glue or JB Weld.